Thieving Christians Steal Scientology’s Intellectual Property! – OTVIIIisGrrr8! We in RTC have caught some thieving Christians stealing patented Scientology intellectual property. The copper bracelet shown above will be Exhibit A in our lawsuit which asks for ten billion dollars in damages. 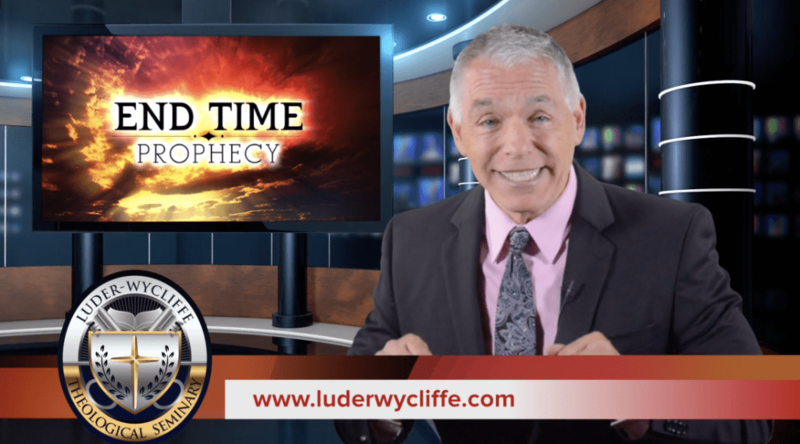 – As Little Dickie gets “overcharged” in meetings with the top church officials, he had copper ground rods installed 12 feet under the ground of various conference rooms at the Int base with bare copper cable running up to the room. When Little Dickie would start getting really mad, he’d hold onto the cable to “ground the restimulated beings that are attached to his body”. – Little Dickie has a drinking problem and routinely drinks over a 1/2 bottle of scotch (Macallan 12) per day. These Christian hustlers, these R6 implanters, are trying to sell copper bracelets with magnets and the healing power of a pretend Jesus. 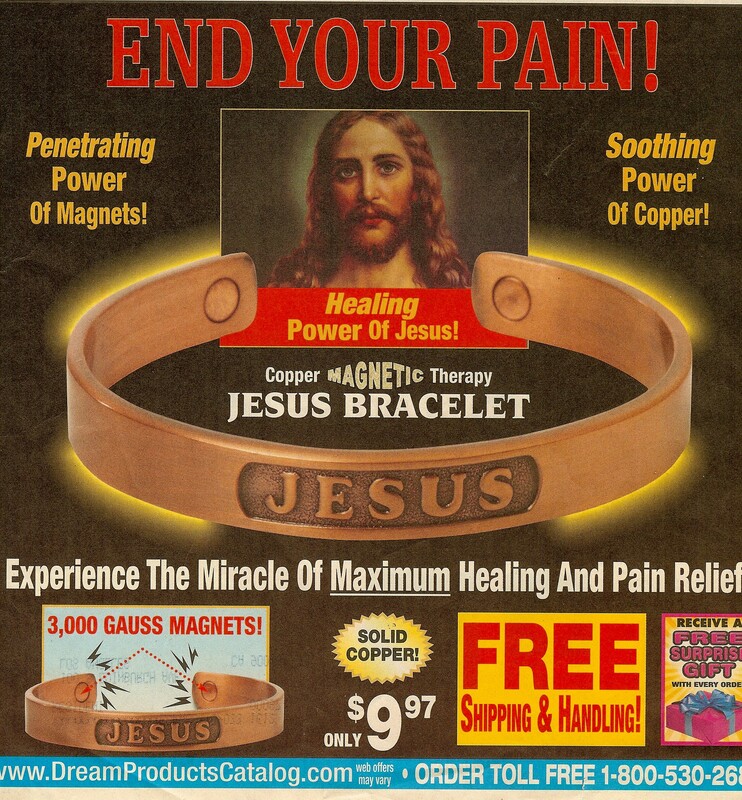 This is a ripoff of Scientology Miracle Copper Healing Technology. These Christian fraudsters will be hearing from our wog attorneys! The quedtion is WHENdid they start with this ‘technology’? I have used magnetised/magnet holding copper bracelets since the mid 1970s. My pharmacy/medical supplier has sold them for years. I bought my first one from a local ‘hesd shop’ and witchcraft/new age supply store about 1975. The store was called ‘Monkey’s Retreat’. Scientology Miracle Copper Healing Technology has been used on the wholetrack for 4 quadrillion years. They were invented by Arp Cola shortly after he invented music. Those Christian scoundrels! Next thing is that they’ll claim they invented fire, the wheel, the arch and the hula hoop when it’s well known that these were all original ideas from the mind of Dr Hubbard. Pity he didn’t trade mark them all at the time. Dr. Hubbard, when he was Arp Cola at the beginning of time, invented fire, the wheel, the arch, and solved the 47th problem of Euclid — and all this before breakfast. He then invented and patented Scientology Miracle Copper Healing Technology. It’s well known that Christians are a bunch of dishonest snake oil salesmen who even have their own TV networks and constantly badger and hound their members for money and offer worthless shiny objects in exchange. I can’t imagine a Scientologist doing something like that. How true. These Christian hustlers will use any scam to part the weak-minded from their money. Scientology would never do this as we are the most ethical group on the planet.